Education is central to the Archive’s mission. At the core is Type West, a postgraduate certificate program in type design, and the only one of its kind on the West Coast. We also host class visits, present lectures, and offer public workshops. Type West students at work in the Monotype Classroom. See the full video. The Type West Postgraduate Certificate Program in Type Design is geared towards graphic design professionals who wish to expand their typographic skills by learning the tools and techniques required to create original typefaces. The year-long course is tailored to the needs of recent graduates, working designers, and other professionals who interact with type and typography regularly but want to deepen their knowledge in a supportive and challenging academic environment. Instructor Grendl Löfkvist and students browse historical examples in the Archive reading room. Photo: Mary Miguel. The intensive, hands-on instruction covers the techniques and technology required for the complete type design process, from sketch to font. Core classes include the history and theory of type design supported by Letterform Archive’s extensive collection. Participants practice hand lettering, calligraphy, and various sketching methods as a foundation for original letterform creation, and they are introduced to the industry standard digital tools necessary for 21st-century type design. Each ten-week term of the core program is supported by two weekend workshops and four guest lectures, all taught by leaders in typography and type design. Class size is limited to allow for individual instruction. All necessary software for font editing is provided for the duration of the year. At Letterform Archive, Type West students have access to a typographic library unlike any other as they research and produce typefaces of their own creation. 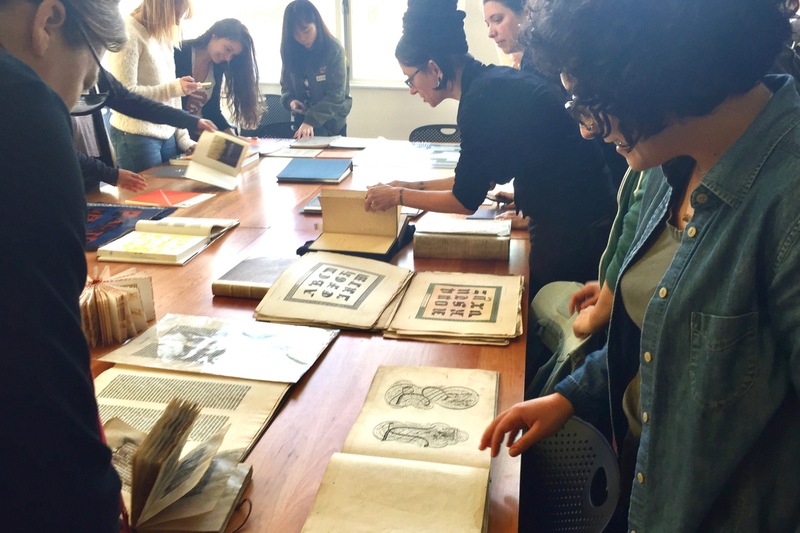 Curators and librarians guide students through thousands of type specimens, reference books, and primary examples of lettering and graphic design. James Edmondson, Lead Instructor, followed his graphic design degree from California College of the Arts with a masters in type design from The Royal Academy of Art in The Hague, Netherlands. James lives in Oakland and runs OH no Type Co., an independent foundry focused on display faces and expressive lettering. He has several years of type design teaching under his belt at CCA and Type@Cooper West, and leads the Type West design courses throughout all three terms. Grendl Löfkvist, Education Director, teaches type history and theory in the Type West program. Outside the Archive, Grendl teaches the history of graphic design, book arts, typography, and letterpress printing at City College of San Francisco, as well as calligraphy at the San Francisco Center for the Book. Grendl has ink in her veins: she was an offset press operator for 20 years, and she serves on the board of directors for the American Printing History Association’s Northern California chapter. Her interests include the study of printing as a subversive “Black Art” and she’s always on the lookout for bizarre or macabre print, type, and lettering lore (she is a bit of a goth). Graham Bradley is a graphic designer and type designer. 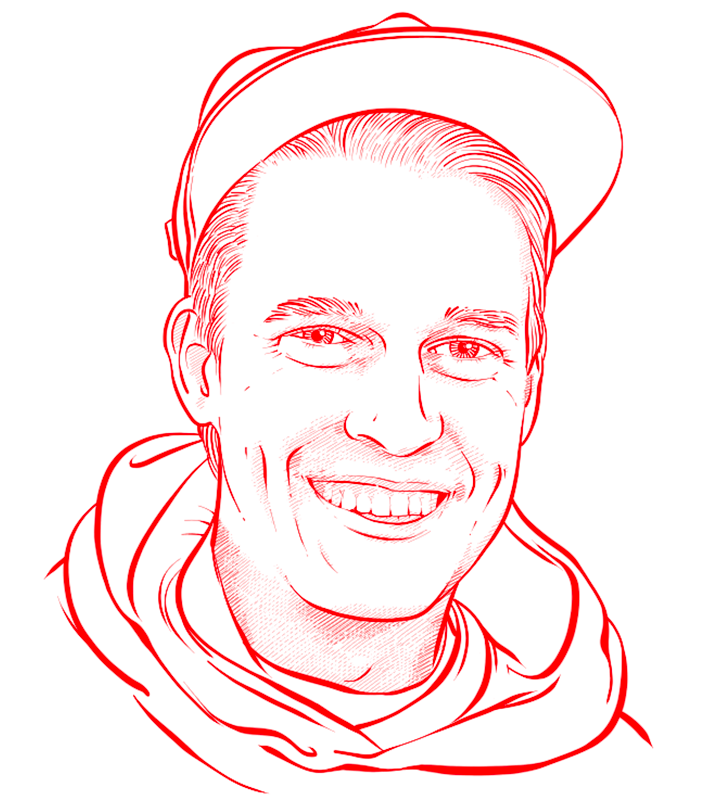 He creates brand identities, custom typefaces, logos, lettering, books, and websites. He was a designer at Frere-Jones Type, where he worked on Mallory and Retina, constructed specimens and illustrations, and developed custom tools. Graham is a graduate of the University of California, Berkeley, and Type@Cooper. Catherine Leigh Schmidt is a type designer and developer who maintains a critical, research-oriented practice. She graduated from the Rhode Island School of Design with a BFA in Graphic Design in 2014 and went on to study hand-painted Devanagari signage in India as a Fulbright Scholar. Her Devanagari and Latin typeface Yatra was published by Google in 2016. 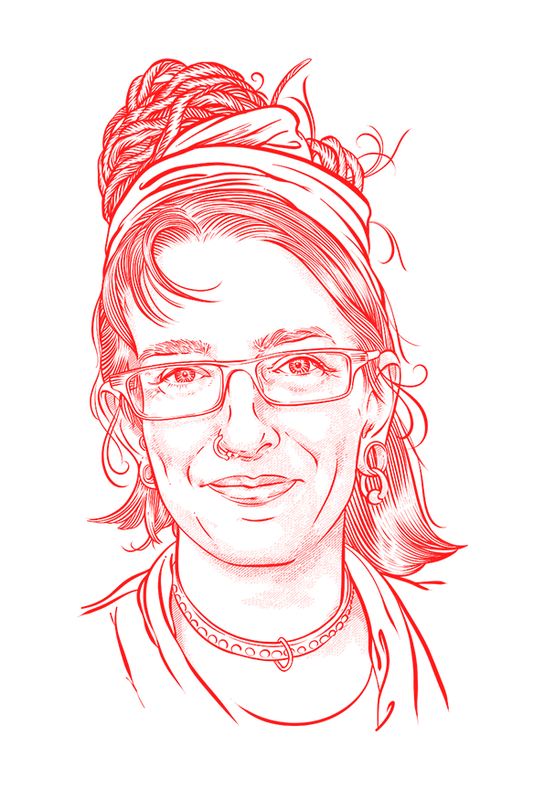 She currently teaches Graphic Design in the MFA program at California College of the Arts and works in font production at Apple. Christopher Slye first worked as an independent type designer and developer producing the text family Elmhurst for Font Bureau and consulting for companies such as Monotype and MvB Design. He joined Adobe’s typographic staff in 1997, where he first helped to expand the design and functionality of Adobe Originals typefaces. Later, he guided Adobe’s type-related technology and initiatives, contributed to the development of open web font standards, and managed all aspects of Adobe’s type licensing programs. Today, he is Business Manager for Adobe Type and Typekit. The Type West program is supplemented by evening and weekend workshops in type design, lettering, calligraphy, and typography for print and web design. The workshops are conducted by Type West’s core instructors, as well as guest designers and educators who are eminent in their fields. Many of the workshops are also open to public participation. The Letterform Lecture series complements the Type West curriculum with four presentations per term from luminaries in type, design, and research. Held at the San Francisco Public Library, the lectures are free and open to the public. The Archive also hosts a monthly Salon Series, highlighting specific aspects of our collection. Participants in the Type West Certificate Program get free entrance to the Salon Series and other special events. Learn more about workshops and lectures on our Events page. Guest critiques and instructors are integral to the Type West program. 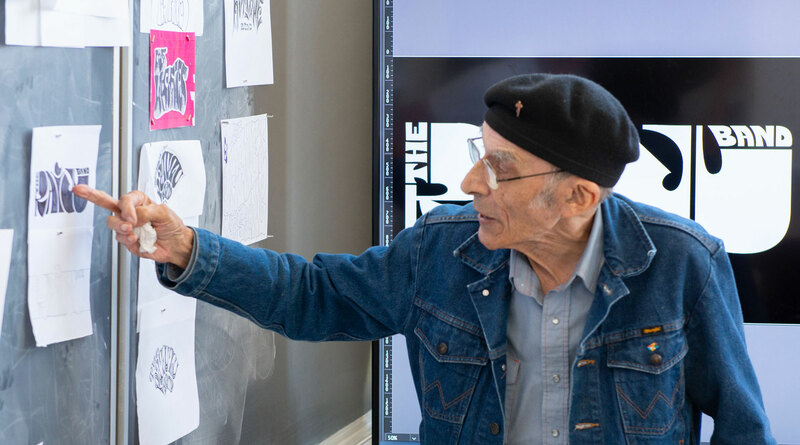 Here, legendary poster artist Victor Moscoso visits a James Edmondson workshop on psychedelic lettering. The 2019–20 Certificate Program consists of three ten-week trimesters from October to August with two six-week breaks between semesters. All classes meet in the evenings and on weekends to fit the schedules of working professionals. Core courses are scheduled on Monday and Tuesday evenings, with two weekend workshops per trimester. Titles and dates for lectures and workshops will be posted at the beginning of each term. Applications for the 2019–20 Postgraduate Certificate in Type Design will open on June 1, 2019 and close on June 30. Sign up to receive updates. In the meantime, check out the workshops and lectures open to the public.